Khanh Hoa (VNA) – An exhibition on rivers across Vietnam opened at the Nha Trang University in the central province of Khanh Hoa on November 3. 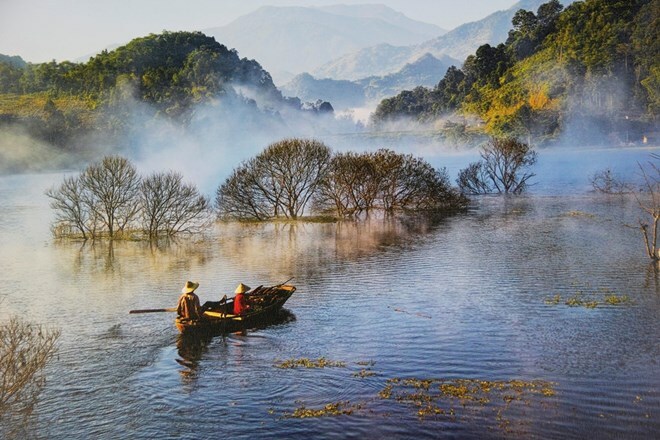 On display are 100 photos selected from more than 5,440 submissions to the Vietnam heritage photo contest this year. They capture imposing Ban Gioc waterfall in the northern mountainous province of Cao Bang, romantic Huong River in the central province of Thua Thien-Hue and gentle rivers in the south, among others. The event will take place at the university until November 7 before moving to Nha Trang city’s April 2 Square. The next stops will be Da Nang and Hanoi. The Vietnam heritage photo award ceremony will be held in Ho Chi Minh City on November 18.